The Snow Barrage is a Limited-Edition Tactical weapon. Looks can be deceiving. Many mice fail to even recognize that a snowman could be a trap! Mice who make this mistake and underestimate the power of this bazooka's 3-snowball-per-second firing rate will very quickly find themselves buried in a pile of their own yellow snow. The King has allowed this weapon to be sold for a limited time only. 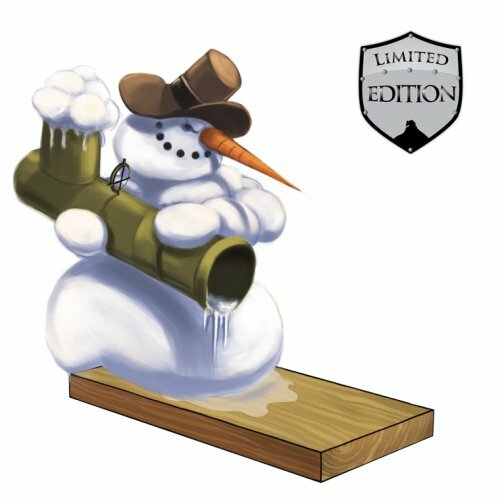 The Snow Barrage is a Limited Edition weapon and can no longer be acquired by Hunters. It could be purchased for 140,600 gold from Ronza's Traveling Shoppe during her visit before Christmas 2008. It refunded for 25,308 gold at the same location. The Snow Barrage acquires a 20% Power Bonus when armed with Snowball Charms. A complete list of Festive Weapons can be found here. 15 December 2008: The Snow Barrage was introduced with the third arrival of Ronza's Traveling Shoppe. 16 December 2008: The developers posted a notice to assure hunters that they would still be able to use the Snow Barrage beyond the 2008 holiday season. It stated: "To clarify, you will be able to use/keep your Snow Barrage trap even after it is no longer sold." 13 December 2016: The Snow Barrage gained a 20% power bonus when armed with Snowball Charms. This page was last edited on 13 January 2019, at 15:51.